Errol: ONE MORE DAY! ONE MORE DAY! If you’ve noticed, I’ve added ratings to the comic! I don’t know why I never turned them on. 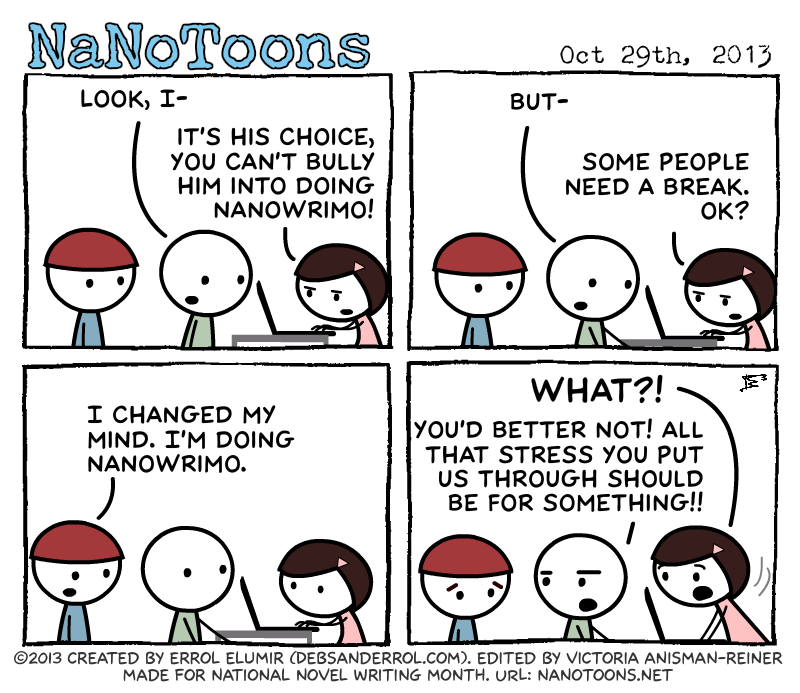 I’ve also made it easier to share via twitter, tumblr, facebook, whatever. Of course, I never tested those, but oh well. 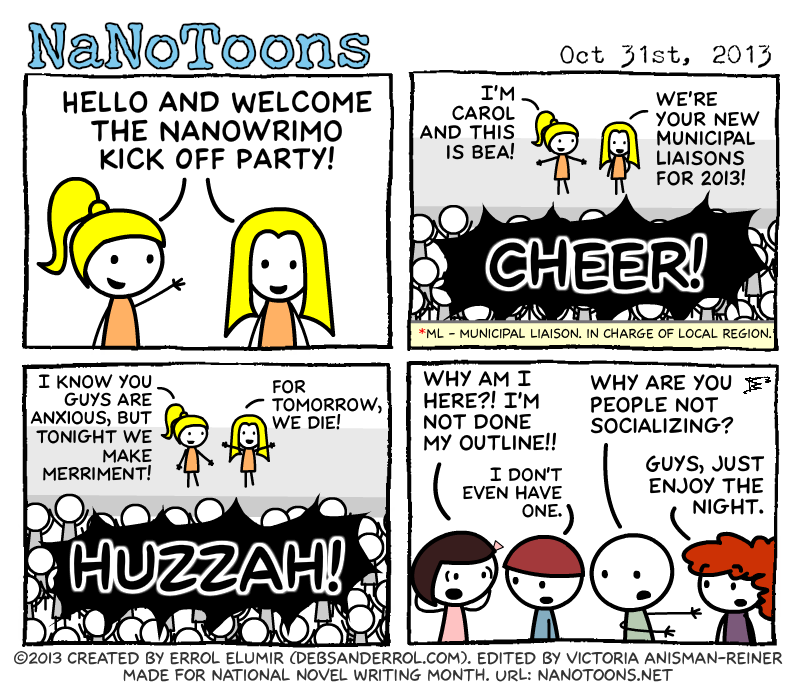 And if you take a look at today’s Debs & Errol comic, you can see my current state before NaNo. Heh. 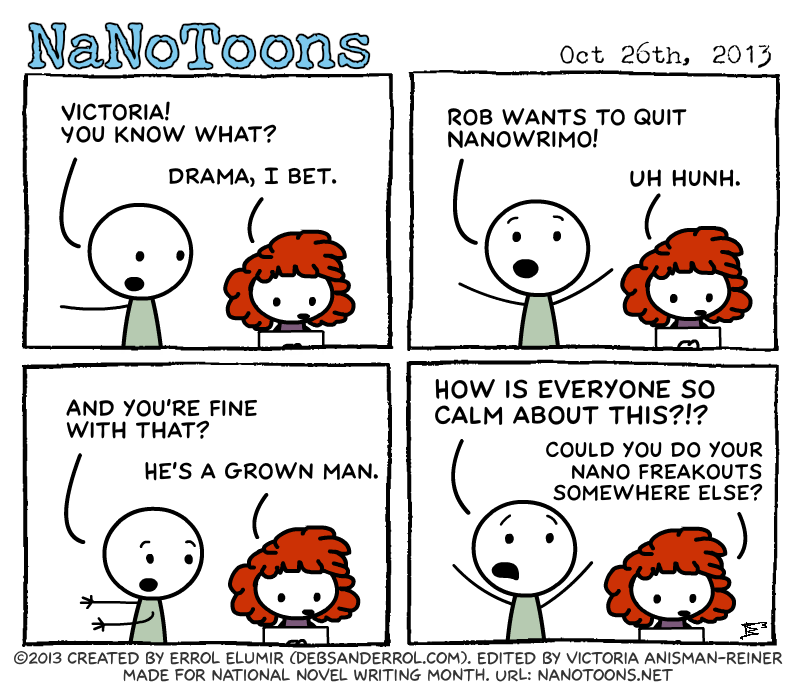 Victoria: It’s Rob’s birthday! They’re going for pho! 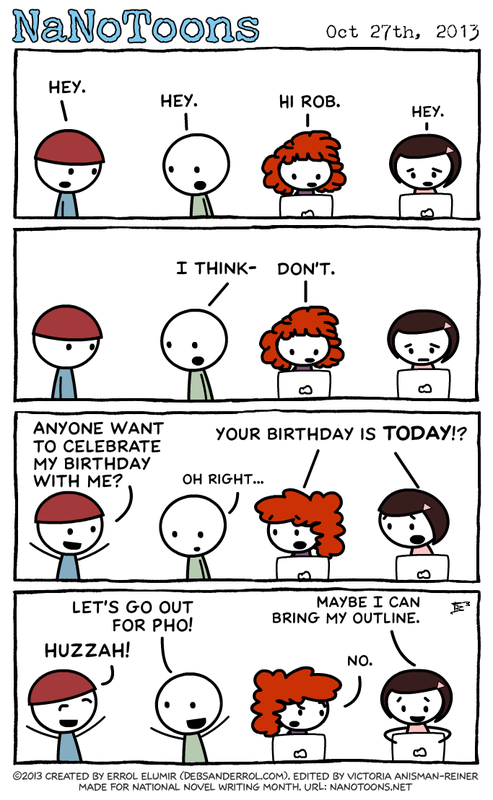 …I’ve still never had pho. (I have allergies and I’m not sure what’s in the broth that might kill me.) Shhh. Don’t tell Debs. 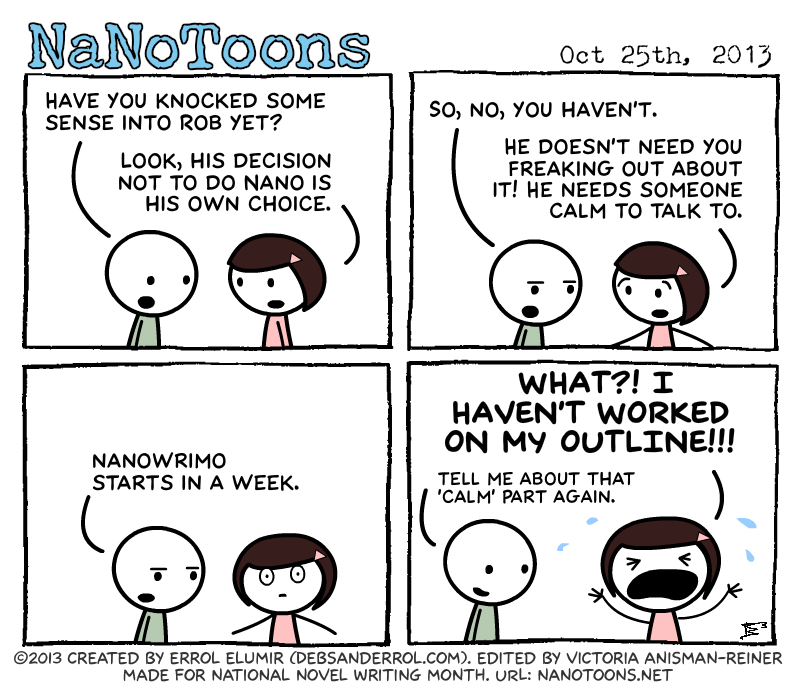 Errol: NaNoToons is comic about NaNoWriMo, so I run into a risk of reusing material. 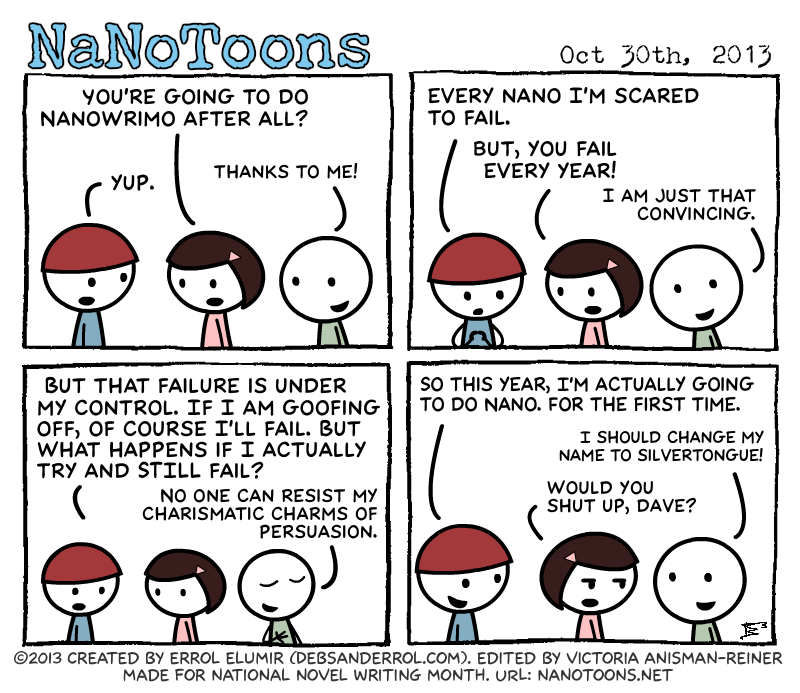 I mean, yes, there is the normal freaking out about November, but I can’t make the comic ALL about that every year, can I? Man, what will happen in five years time? Will I still be doing these? Will it be taken over by someone else? 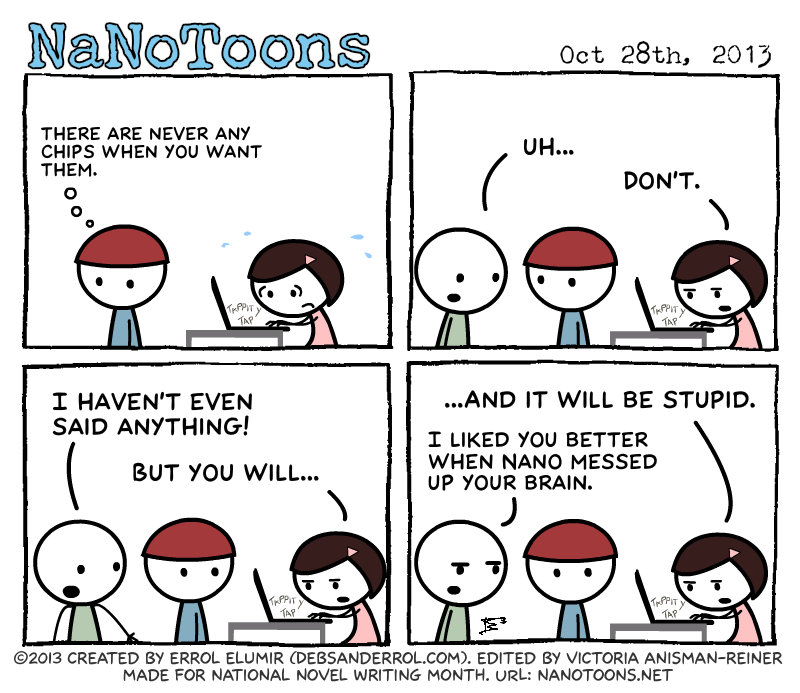 Maybe I should just focus on getting the rest of NaNoToons drawn and not worry about it.